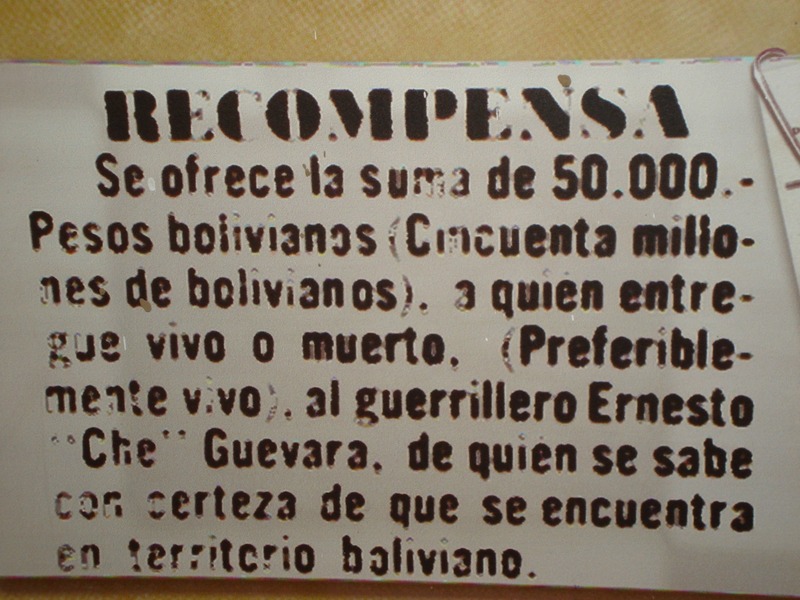 The route of Che in Bolivia as it is understood is a long one. 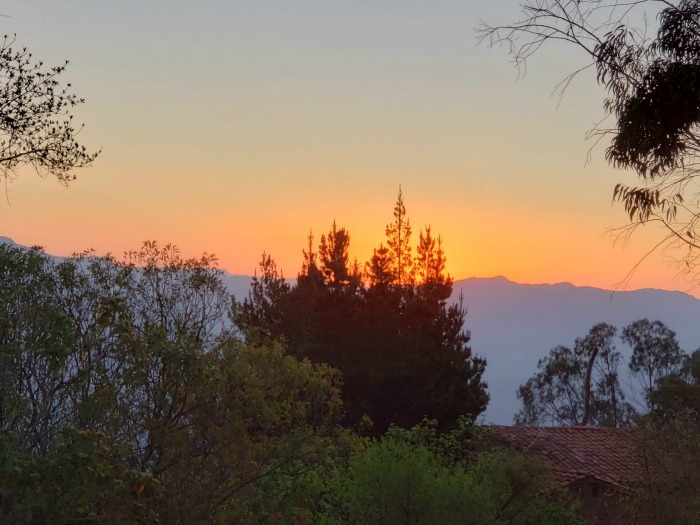 But all or most all of the trips or tours are directed towards the town of Vallegrande and the small community known as Higuera, which is a quiet community with very with few inhabitants. Lunch in Samaipta or somewhere else down the road. 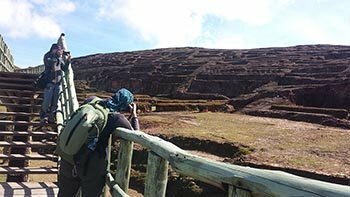 After Samaipta we still need about 1 1/2 hours to reach Vallegrande In Vallegrande , we will meet our local guide. After breakfast. The group starts the trip to La Higuera. 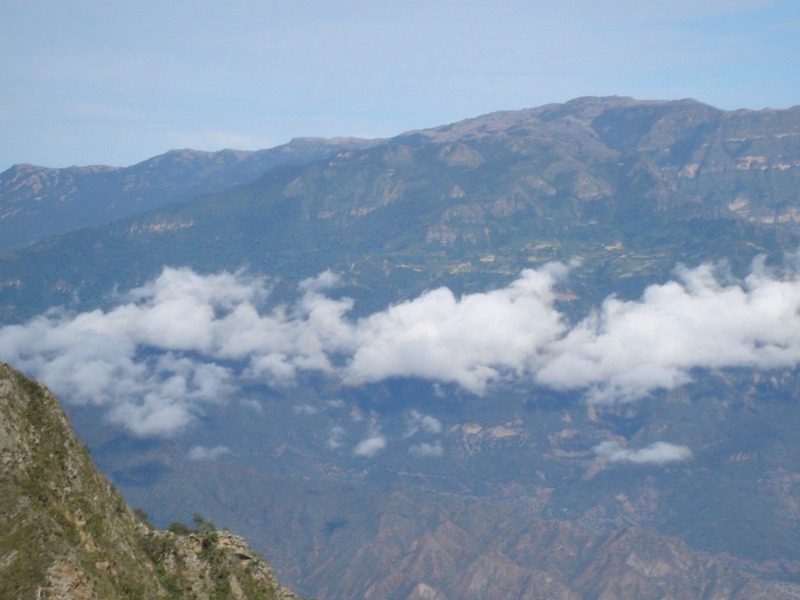 From Vallegrande to La Higuera village there are 60 kms and driving it takes about 2 or 3 hours. The peak altitude that we arrive is 3200 meters above sea level. 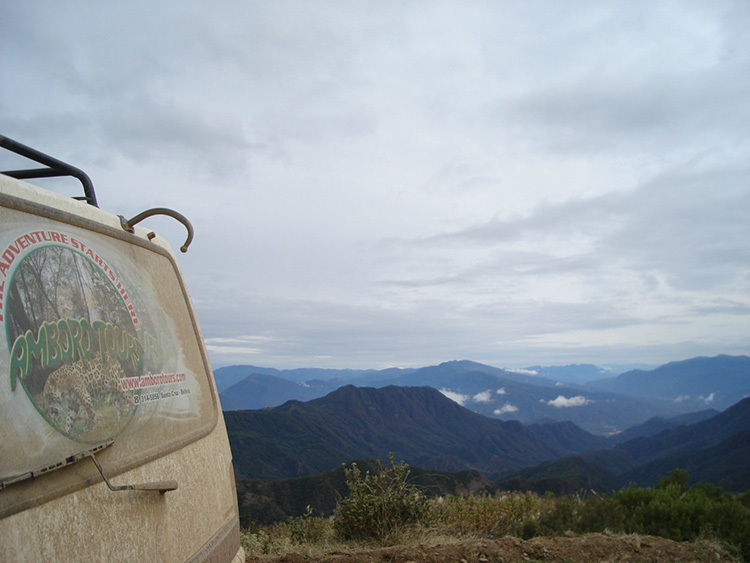 The vehicle can stop whenever the visitor wishes to take some photos or to appreciate to the Andean Condor flying over the area. Please ask the driver to stop in a safe place. Before arriving to La Higuera we will visit The Churo Creek, where “El Che” fought his last battle in total disadvantage, malnourished, without adequate clothing or boots (he made his own boots with some leather in disuse) and with his rifle was not working well.To get to this place we will have to do some trekking down a hill for about 1 1/2 hours. 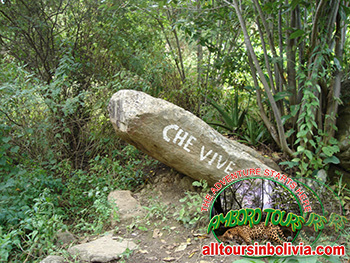 In this place the guide who accompanies us will tell us in details how this uneven battle took place and how “Che” was captured by the military and taken to the small village´s school of La Higuera, which at the time had more inhabitants than it does at the present time. 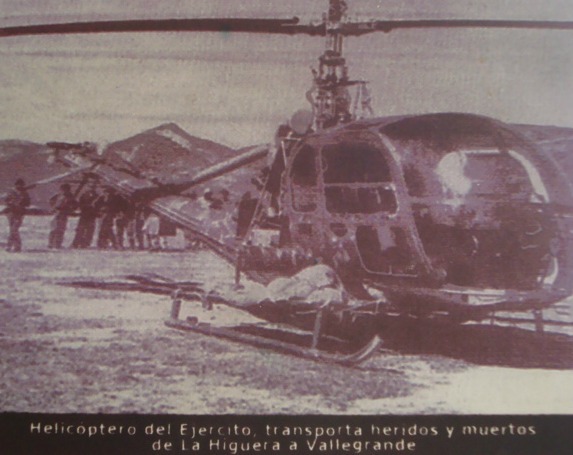 We will arrive to the population of La Higuera after approximately 5 hours. 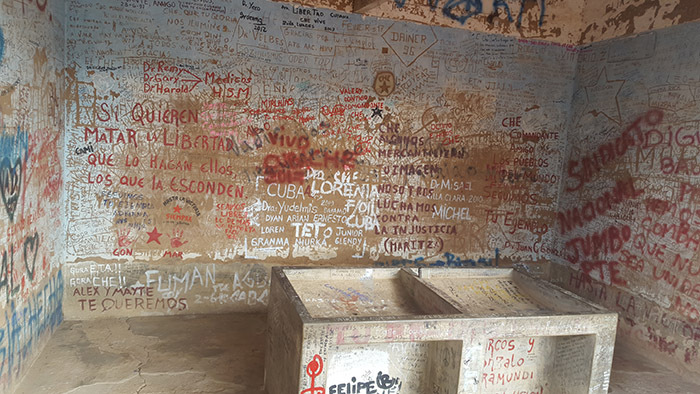 The guide can tell us some histories like the one about a small monument raised on El Che honor in middle of the town square. And how many times the military came to destroy it. 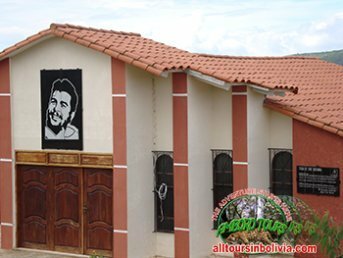 We will visit the “El Che” museum, which is the place where El Che was killed. 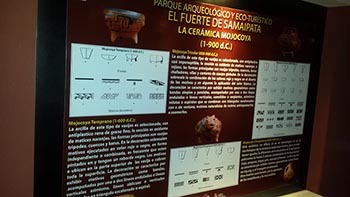 The guide will provide further explanation about the photos and objects in exhibition. 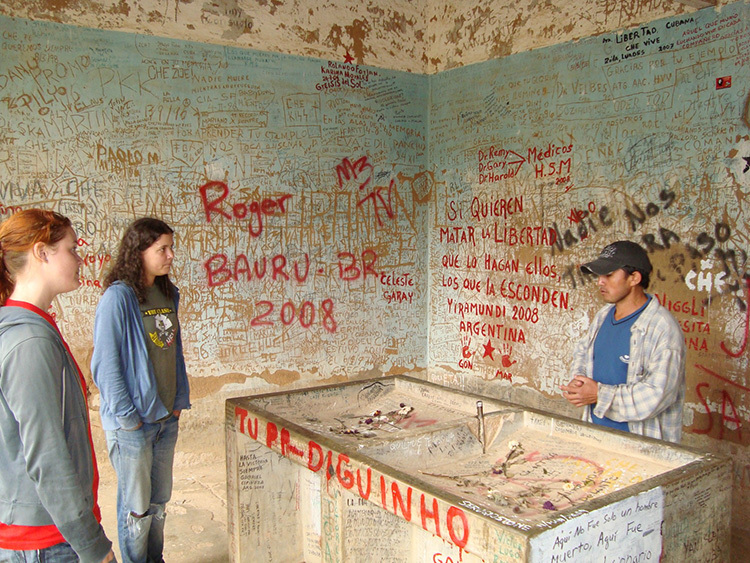 Later, if time allows to, we will visit other places in the surroundings of where “El Che” was present. 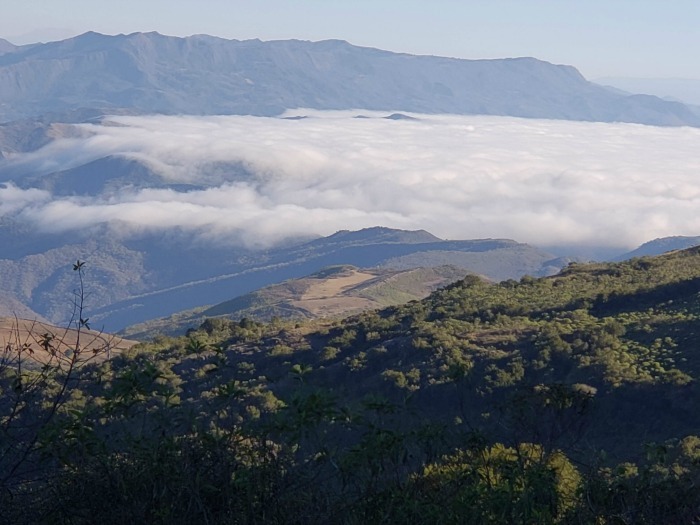 Samaipata is approximately at 1800 meters above sea level. 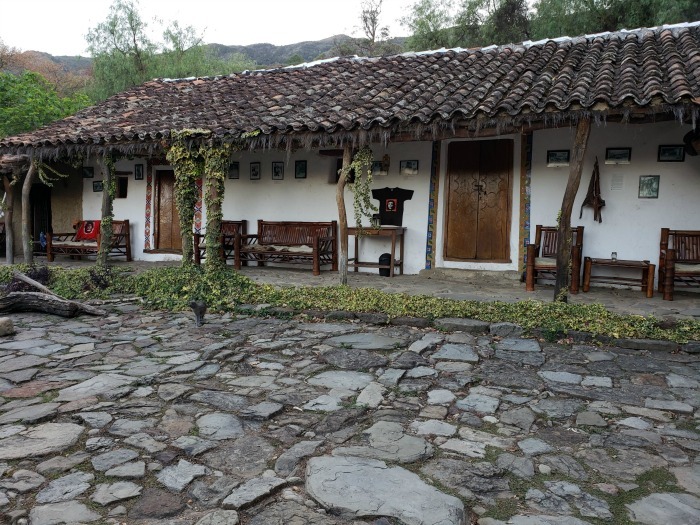 Samaipata has tempered climate during the day and it is a little cold during the night. 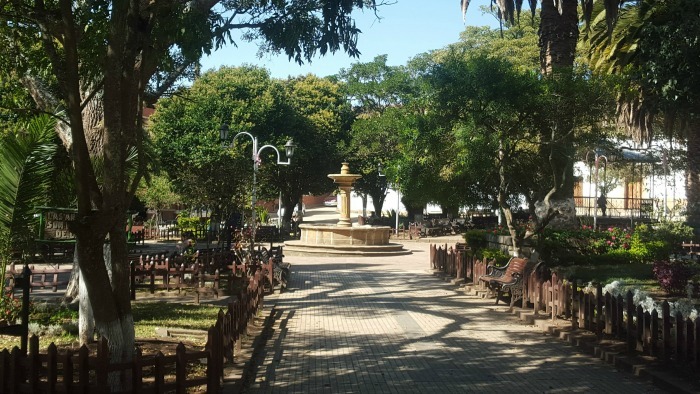 After visiting these places In Vallegrande, We will leave our guide and continue to the city of Santa Cruz. 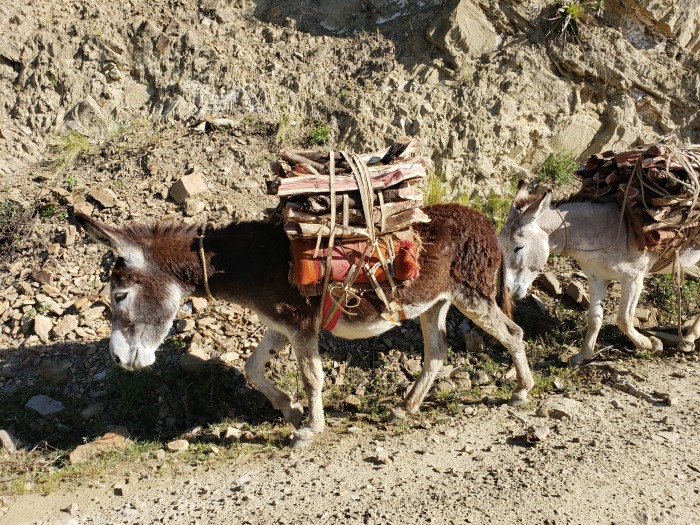 It is advisable to drive through the part of the mountainous during the day, due to the scarce signaling and the road conditions. We will arrive at the city at evening or at night and leave you in your hotel or address. End of our service. Thanks. Adverse climatological conditions or social unrest can change the original itinerary. 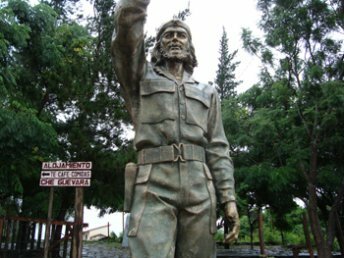 Before arriving to La Higuera we will visit The Churo Creek, where “El Che” fought his last battle in total disadvantage, malnourished, without adequate clothing or boots (he made his own boots with some leather in disuse) and with his rifle was not working well. 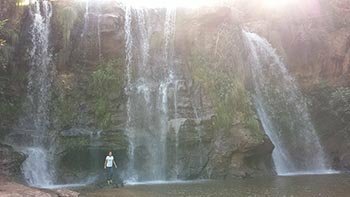 To get to this place some trekking down a hill for about 1 1/2 hours. 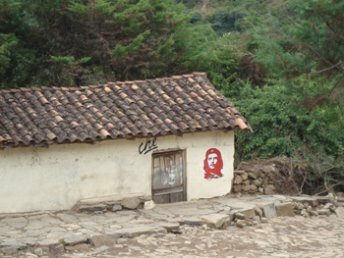 In La Higuera Village a walk around the plaza, where we will be able to appreciate the paintings on the house walls and monuments raised in honor of “Che”. We can ask the guide how many times a small monument was raised in middle of the town square and how many times the military came to destroy it. Dinner en Overnight in Samaipata. 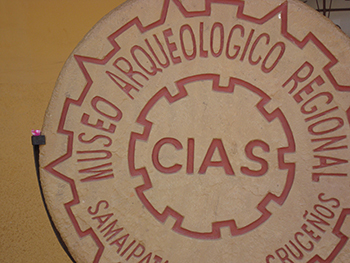 After breakfast, we will visit the museum, where we will be able to appreciate different objects and ceramics that remain as a testimony of the different cultures that settled in the surroundings or from sites of Bolivia. After the museum, we go to El Fuerte, the entrance to the secondary road that leads to the fort is located 2.5 miles or 4 kilometers away from the town of Samaipata by the paved road to Santa Cruz. 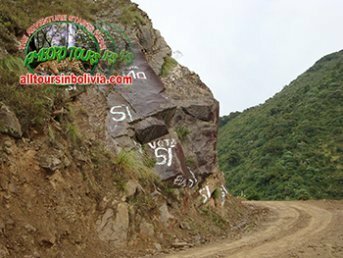 From this point we go up on a secondary road in the vehicle to the top of the mountain where El Fuerte is located and from where the footpath begins. 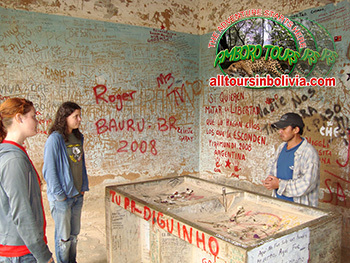 providing us with the explanations of the possible reasons for the carving made there, the strategic location that this place had in those days and the clash of different cultures that happened in this location for this reason. 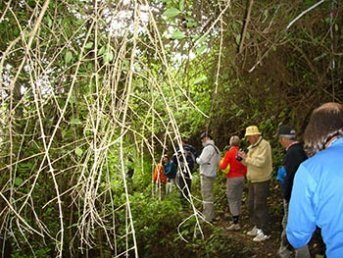 When the tour of El Fuerte is over, we return in the same vehicle to the highway that leads to Samaipata. 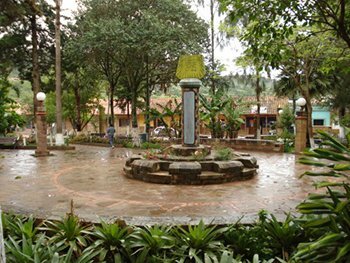 Lunch in Samaipata, and after a short rest we start our return to Santa Cruz. We will arrive at the city in the afternoon hours or at evening and leave you in your hotel or address. Ernesto "Che" Guevara (Spanish pronunciation: June 1928 – October 9, 1967, Cmmonly known as el Che or simply Che, was an Argentine Marxist revolutionary, physician, author, guerrilla leader, diplomat, and military theorist. 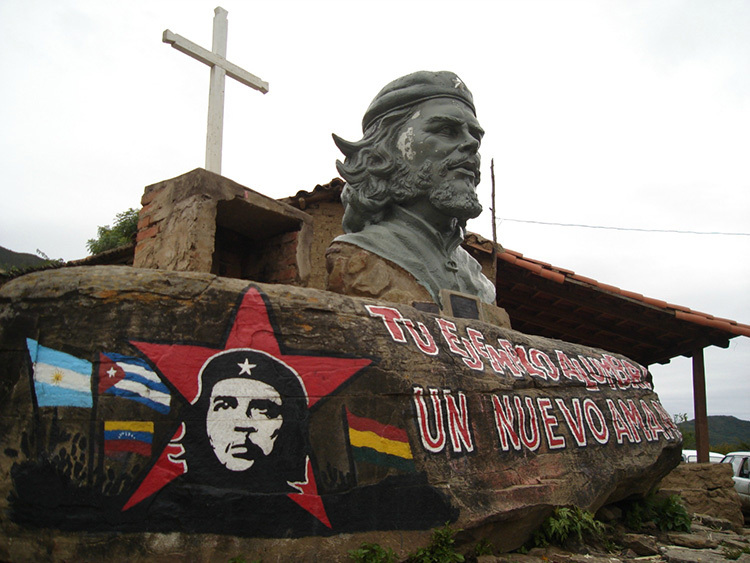 Following the Cuban Revolution, Guevara performed a number of key roles in the new government. 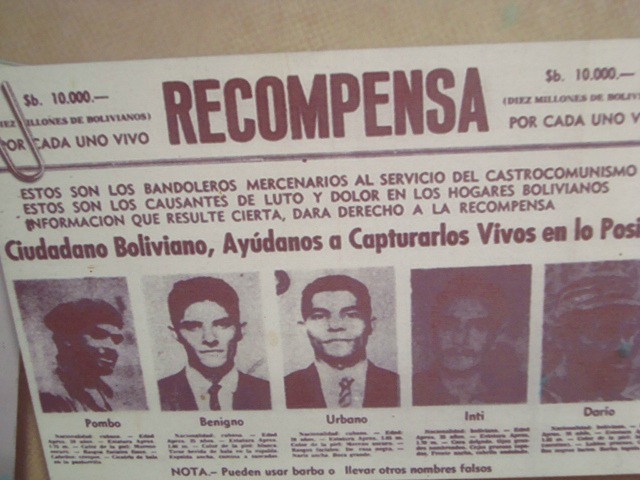 These included reviewing the appeals and firing squads for those convicted as war criminals during the revolutionary tribunals, instituting agrarian land reform as minister of industries, helping spearhead a successful nationwide literacy campaign, serving as both national bank president and instructional director for Cuba's armed forces, and traversing the globe as a diplomat on behalf of Cuban socialism. Such positions also allowed him to play a central role in training the militia forces who repelled the Bay of Pigs Invasion and bringing the Soviet nuclear-armed ballistic missiles to Cuba which precipitated the 1962 Cuban Missile Crisis. Additionally, he was a prolific writer and diarist, composing a seminal manual on guerrilla warfare, along with a best-selling memoir about his youthful continental motorcycle journey. His experiences and studying of Marxism–Leninism led him to posit that the Third World's underdevelopment and dependence was an intrinsic result of imperialism, neocolonialism, and monopoly capitalism, with the only remedy being proletarian internationalism and world revolution. 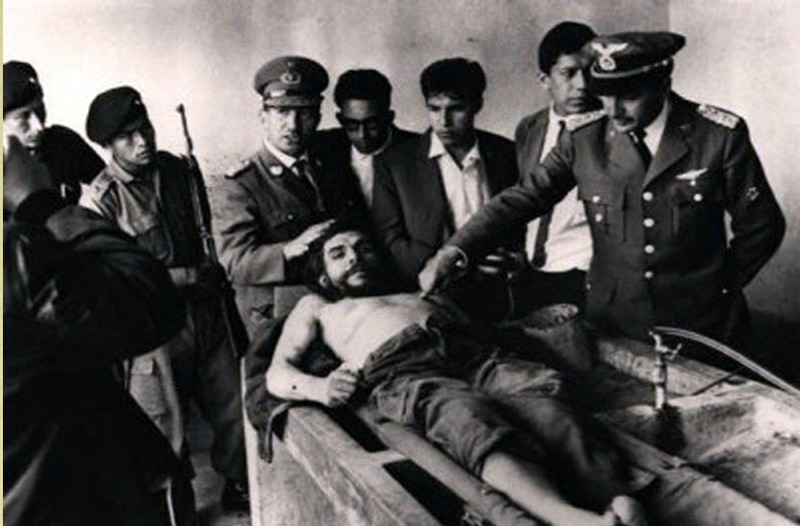 Guevara left Cuba in 1965 to foment revolution abroad, first unsuccessfully in Congo-Kinshasa and later in Bolivia, where he was captured by CIA-assisted Bolivian forces and summarily executed. Guevara remains both a revered and reviled historical figure, polarized in the collective imagination in a multitude of biographies, memoirs, essays, documentaries, songs, and films. As a result of his perceived martyrdom, poetic invocations for class struggle, and desire to create the consciousness of a "new man" driven by moral rather than material incentives, he has evolved into a quintessential icon of various leftist-inspired movements. Time magazine named him one of the 100 most influential people of the 20th century, while an Alberto Korda photograph of him entitled Guerrillero Heroico was cited by the Maryland Institute College of Art as "the most famous photograph in the world"